At the very back of the botanical garden of Lisbon, there is a tiny house hidden by the plants. If you get closer to it, you will hear some fado discreetly playing. Standing inside the house, an old man is fiddling with little pieces of wood and metal. 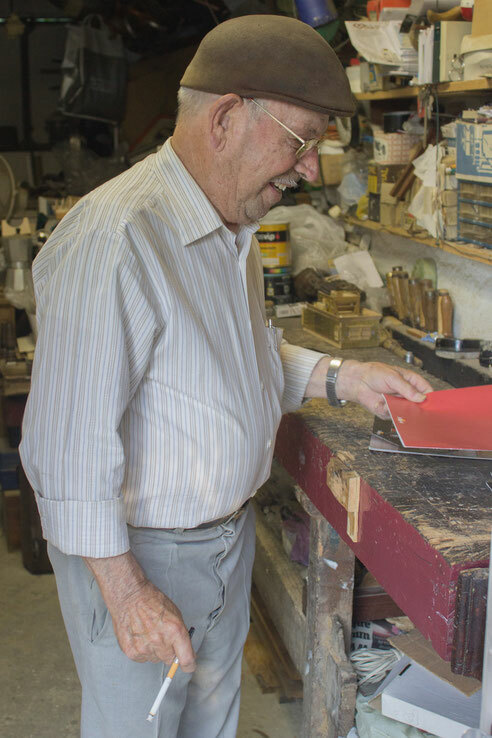 It doesn’t matter whether you speak Portuguese or not, as soon as you step into his domain he will show you his craftsman kit and magazines and tell you the secrets for building a miniature train. You might not understand everything, but you will have the pleasure to meet a man conscientiously doing his job with joy and simplicity for the garden museum.